The recent changes in flow on the Gunpowder River either concentrate the fish in low flows or spread them out in higher water. Each extreme has its advantages and disadvantages, but the fishing remains productive. Many fish are holding on the bottom, so nymphing is a good way to cover water in the high flows, or dredge the deeper slots in low water. 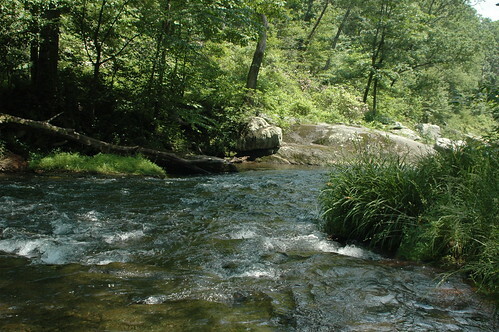 The water is very cold, in the low 50s in the C & R, and in the upper 50 to low 60s in the 2 fish a day regulated water. Last week, friend and “Glimpses” co-star, Matt Devlin made the trip from South Carolina to the Gunpowder and we dropped the raft into the river in a steady rain. The combination of overcast skies, rain and low water made for a great day on the river. The sixty degree water was clear, and some bigger browns were active on nymphs and streamers. Matt and I got into fish quickly with a pair of thick browns in the first riffle we fished. Each spot we tried held hungry wild browns, and most strikes came on the first few drifts. Streamers also got a lot of chases, hits and produced one brown over twelve inches for me from the boat. Matt worked one riffle with nymphs, and got two fish on consecutive casts; One thick, thirteen inch brown and one heavy, fifteen inch brown. My net, the Oconto by Wolf Moon, features a lightweight rubber bag and a fifteen inch handle for easy measuring. By the time we reached the takeout we caught all the usual wild fish ranging from 6-11 inches, but also a number of quality twelve to fifteen inch wild browns. Matt lost a decent fourteen to fifteen inch brown at the net, and I had my biggest brown of the day inhale a sculpin pattern under an overhanging tree, but I couldn’t set the hook quickly enough. We caught fish, hooked fish, lost fish and made the most of less-than-favorable weather and cold, low flows. This entry was posted in fishing report, video on June 24, 2009 by Jason du Pont. Happy National Mosquito Control Awareness Week! Remember the drought in March? What a difference two months can make! In the midst of the second wettest Spring on record, Pretty Boy reservoir is full, and the Gunpowder river is experiencing low, (at 32 CFs) clear and cold, (54 F) flows. This morning the water temp at Falls Rd was 54 F. Small ants, beetles and grasshoppers paired with #16-18 pheasant tails and hare’s ears and cast along shaded banks should work fine throughout the catch and release section. If you’d like to fish in more, that is, higher water, any access downstream of Bluemount Rd where Little Falls, (flowing at 44 CFs) joins the Gunpower including Monkton and Upper Glencoe are worth a shot. The Glencoe gauge is reporting flows in the 92 CFs range. For more on the broad based effects of the recent weather pattern-outside of a sudden increase in rain jacket sales at the shop, give Frank D Roylance’s article from the Sun Paper titled, Mosquitoes thriving, Md. crops suffering amid rainy weather a read. The article, which points to, the mixed blessing of the 17 inches of rain we’ve received since April 1, features snippets from Maryland Agriculture Secretary Earl “Buddy” Hance about the rain’s effect on corn and wheat crops and a statement from Mike Cantwell, Chief of MDA’s Mosquito Control Division, on subsequent increases in mosquito “landings” observed in Dorchester county. The position of the AMCA is that the practice of dispensing pesticides at predetermined intervals without surveillance data guiding the treatment is not consistent with the sound Integrated Mosquito Management practices that underlie our valued partnership with the Environmental Protection Agency in the Pesticide Environmental Stewardship Program. We are concerned that application of pesticides through these misting systems will have several undesirable effects. 1. Unnecessary insecticide use. …timed space sprays may result in needless insecticide applications, leading to increased costs to the consumer and potentially adverse environmental impacts. …until misting systems are reconfigured so that surveillance drives the application, efficacy is demonstrated and drift is minimized, AMCA believes they are not consistent with sound practices to promote public and environmental health and should be discouraged. This entry was posted in fishing report, news on June 23, 2009 by Theaux Le Gardeur. Still pining away for a proper Father’s day gift? Stop in the shop the next time you’re up and give these beautiful Abel reels a first hand look. 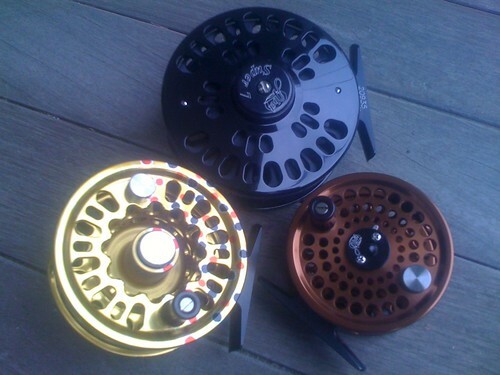 Featured reels from left to right: Abel Super 4 in “Fish Graphic” anodized Brown Trout finish, Abel Super 7 in Black anodized finish, Abel TR 1 in Bronze anodized finish. This entry was posted in gear, news on June 22, 2009 by Theaux Le Gardeur. The Gauge is acting up but rest assured, the river is still flowing. This afternoon through the weekend expect to see flows in the 150 to 160 Cfs range. The Gunpowder river is clear and 50.5 F at Falls rd. 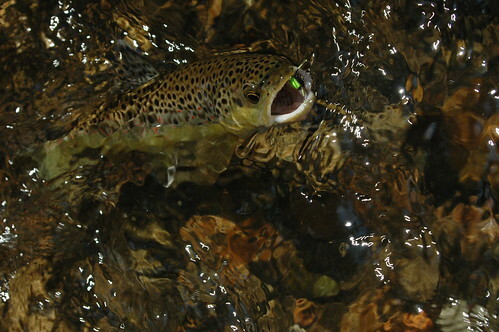 Reports of BWO’s, and small caddis have been reported throughout the catch and release section. Sulphurs are still about but are sporadic and now in the #18-20 range. MD DNR fisheries biologists just released 5, 000 fingerling rainbows just upstream of Falls Road last week. If you’re tired of tying on tiny dries , try a grey ghost or black nosed dace in the boulder pools. Further down river, terrestrials like ants and hoppers have been tricking a few fish. Thank you for giving me the quick run down on what I would need to catch my first Gunpowder Brown. The 6x and what I believe was one of the many Sulphur patterns from the muffins tins was it all it took. This entry was posted in fishing report on June 19, 2009 by Theaux Le Gardeur. This entry was posted in news on June 19, 2009 by Theaux Le Gardeur. 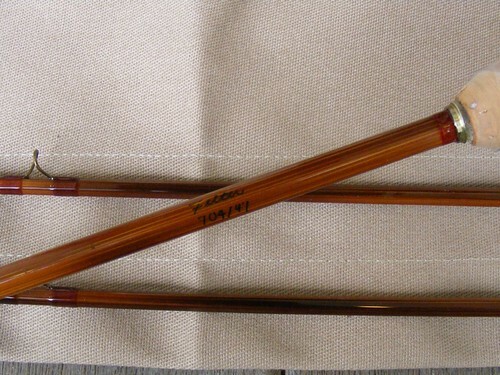 Following is an update from Bill Felter about his latest Bamboo rod now available at the shop. I recently finished up work on that rod that was featured way back in October of last year. To refresh customers’ memories, it’s a 2 pc. 7 foot 4 weight built on a Payne model 97 taper. It has a pleasant medium action and loads up with just a small amount of line out of the guides. I’ve cast it with a variety of lines but I like it best with an old Cortland 444 line in either Double Taper or Weight Forward. The rod really excels in the 10-30 ft. range which makes it perfect for all of those great brookie streams out in Garrett County. It can handle streamers up to size 6 just as well as it does tiny dry flies. 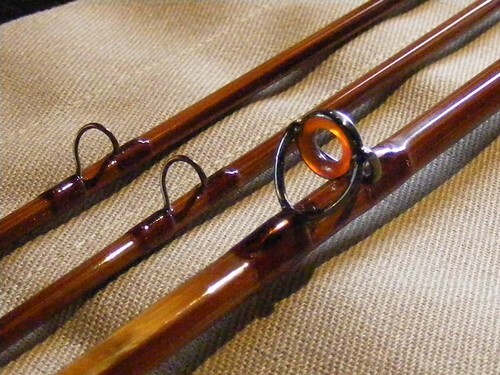 The rod is darkly flamed and features an all nickel silver slide band reel seat with a cork spacer, cinnamon colored silk wraps, an agate stripping guide and bronze-finished Snake Brand snake guides. The ferrules are Super-Swiss style “UNI-Ferrules” made by REC in Connecticut. All of the hardware was left in its original bright finish. Feel free to let any of your customers take it out back to cast it. 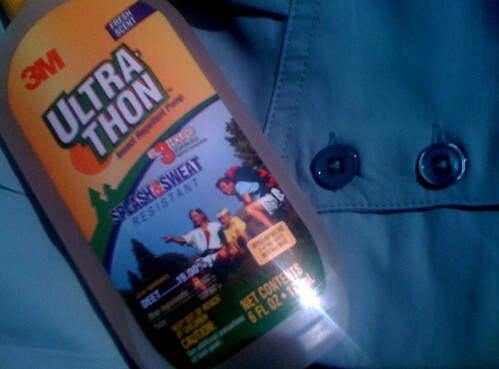 This entry was posted in gear, reviews on June 18, 2009 by Theaux Le Gardeur. We all headed down to the Gun on Sunday and the Sulphers were flat-out partyin’. I didn’t have my rig with me as I still want my boy, Tappen to have my full attention as he is a dedicated outdoorsman in the making.We concentrated on working the nice, long trough just upstream from the old ropeswing above the Corbett Rd bridge. Again, he was on my shoulders as I waded so he could get positioned properly. His casting and forethought in troutfishing far outweighs his short few years on this planet. No action despite the robust Sulphur activity-I’m guessing by the numbers of bugs in the air that there was a lengthy emerger period in which our lovely browns gourged themselves to bursting.Tappen continues to impress me in his casting and patience and this was no exception. In a series of beautiful, long casts he read the water perfectly and retrieved his line with no activity from our prey. But right when my waders alerted me to the fact that my patching attempt was less than perfect, a BIG brown rolled just under his line. Many casts later he asked why the fish didn’t strike again. I flashed back to a magical night on the Pigeon river in Michigan when I was not much older than Tappen. I had missed a lunker, and my Father who had seen the take as well, endulged me and exhibited uncharacteric patience and watched my panicky attempts to get the fish to rise again. I sulked all the way home. I remember an efervescent bluegrass lick on the radio of our ’65 scout’s single speaker as my dad patted my shoulder and said: The big ones don’t get big by being stupid. I don’t know what fishing has to teach us, but I think it’s something we need to know. This entry was posted in fishing report on June 18, 2009 by Theaux Le Gardeur. 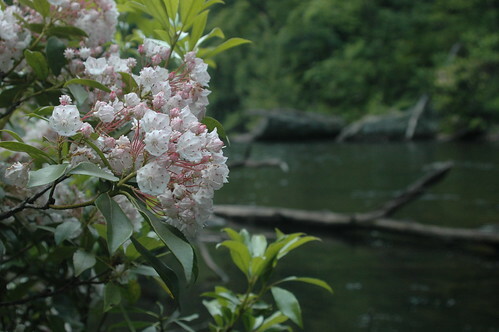 Backwater Angler Guides will be available for four or six hour wade trips on the Savage River in Western Maryland from July 6th-July 10th. 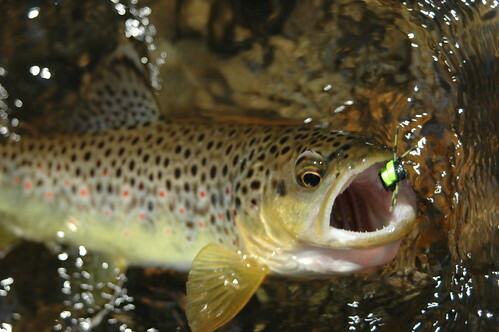 The Savage is known for its beautiful wild trout and also its extremely challenging wading and technical fishing. While the hatch fishing can at times be exciting, many fish can be caught using a variety of surface and subsurface patterns. Guides will be available for morning or afternoon start times and standard rates apply. Food and lodging will not be provided, nor will transportation to and from the river. Details on lodging and camping options, meeting times & places, and recommended gear will also be discussed prior to the trip. Trips can be scheduled and prepaid by contacting the shop Please give us a call at 410-357-9557 or drop us a line at info@backwaterangler.com to book a trip. This entry was posted in news on June 17, 2009 by Jason du Pont. 2009 has been a great year for rain in the Central Maryland region. Both City reservoirs were full since late winter, and Prettyboy Reservoir has added warmer spillover all Spring to the cold bottom releases on the Gunpowder River. The mix of warm and cold water is the result of Baltimore City Water and MD Fisheries officials attempting to maintain levels in the reservoir, while increasing water temps in an effort to boost insect hatches. After numerous gate changes this Spring, the City was pulling from the 55 foot gate, yet surface spillover brought temps to nearly seventy degrees in the upper C & R sections with recent thunderstorms. Considering the river supports wild browns for 17 miles, the few miles below the dam were reaching stressful levels for the trout, let alone the many miles further down river. Last weeks fluctuating flows were the result of a quick response and planned release by the City to lower levels in Prettyboy and prevent warm spillover from mixing with cold bottom releases. By Friday of last week temps dropped from 68 to the 56 degree range midday at Falls Rd. Currently flows are clear, in the 31 Cfs range and ice cold in the mid to upper fifties throughout the C & R sections. This entry was posted in fishing report, news on June 16, 2009 by Jason du Pont. Sulphurs and Caddis are still hatching along the Gunpowder, but there are other opportunities for dry fly fishing during the day. Hatches of BWOs, Sulphurs, and caddis may be concentrated very early or very late, so if fishing midday consider throwing terrestrial patterns. 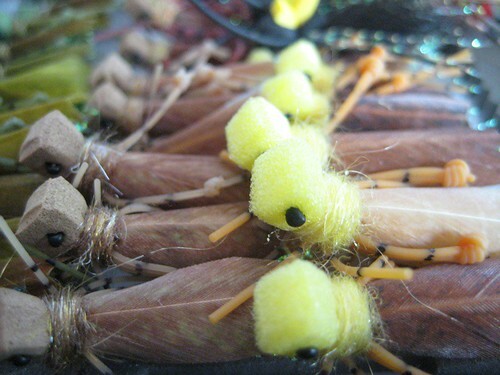 A recent shipment from Rainys includes a variety of hoppers, beetles and ants that are proven patterns on the Gunpowder. The brown pictured above fell for a size twelve rubber legged foam beetle fished against the bank. In a few hours, from noon to four, on a bright day I landed eight browns on the same fly. The browns were quick to inspect anything dropping into the water near overhanging trees, undercut banks or logjams, so be sure to get a good drift the first time. Larger patterns may get more refusals, but are easy to see and tend to catch the bigger fish. Smaller terrestrials sized 18-24, such as flying ants and smaller flying beetles are also causing the fish to rise in good numbers throughout the Catch and Release sections. This entry was posted in fishing report on June 12, 2009 by Jason du Pont.